If you've walked into one of our Olga de Polga stores and/or stockists around Australia, you may have noticed a love for a certain fabric type throughout our ranges. Our seersucker is 70% cotton and 30% rayon. Most of you will find this fabric composition tends to be 100% cotton. 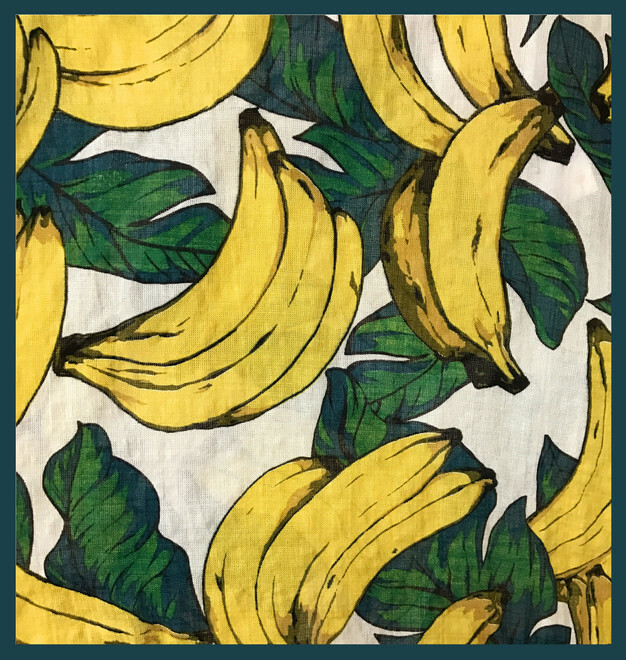 Although this is so, the Olga de Polga creatives have ventured towards this alternative blend due to the nature of cotton being more prone to wrinkling and not being the greatest choice in terms of colour fastness. Dyes naturally deposit into the rayon fibre densely and it holds the colour throughout time when the garment endures numerous washes and wear. The fibre of cotton is still very much essential to our garment styles of choice (such as the dropwaist dress, top, blouse and tee) as it is immensely breathable during warm weather and is also insulating during colder seasons. Here at Olga de Polga, we do recommend washing your seersucker garments with reasonable care. A delicate setting with lukewarm water is best suited for the function of the fibre's fabric and to maintain longevity of the vivid print quality. The seersucker can very well be considered a signature to our Olga de Polga brand. We absolutely LOVE the feel of this fabric. Not only this, but it features an adorning crimp-like appearance and texture. 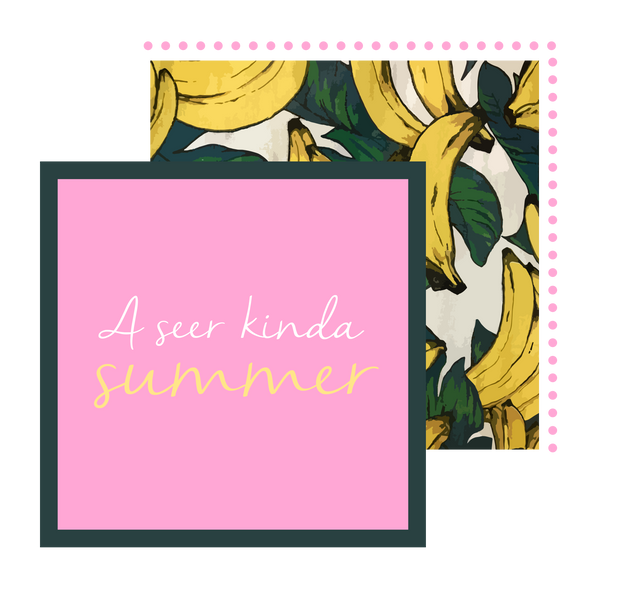 Think of our seer designs, such as the dropwaist dress, top, blouse and tee, as easy and stylish throw-on garments that are great for these warm spring days. Summer is so close you can almost taste it. 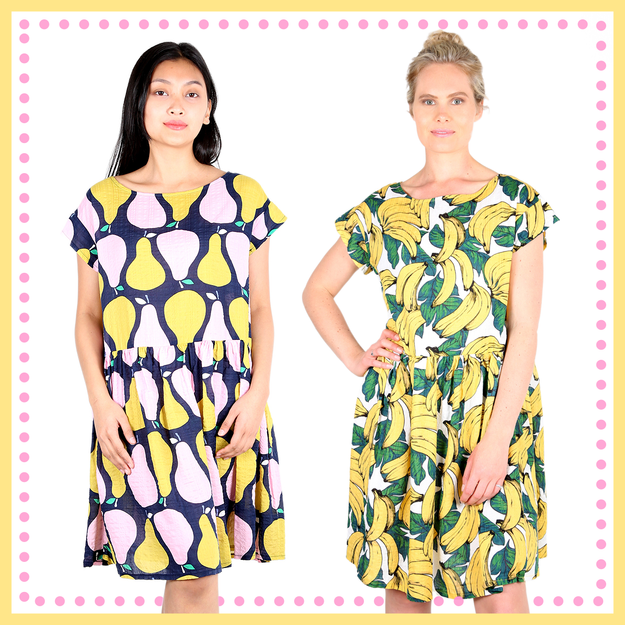 The dropwaist, such as these dresses pictured above (the 'PEAR TREE', 'BANANARAMA' and 'ZIMBABWE' designs) are perfectly loose, wide-cut draping garments. Summer should be all about sheer, colourfully-printed fabrics that coincide with the weather and mood. Shop to match this joyful season! Take a peek at our range down at our Melbourne flagship stores or check out what we have to offer here online.